Prayer for Himself: Glorification 1-8 “Glorify Thy Son, that the Son may glorify Thee”. Jesus is not self-seeking in asking that the Father glorify Him since the ultimate result of the request would be that the Father would be glorified by and through the Son. Jesus, here, is simply asking that the Father would see to it that He would successfully complete the mission for which He came to this Earth – His sacrificial death, burial, and the resurrection. Prayer for Disciples: Protection, Sanctification, Unification and Glorification, Vss. 9-26 “I ask on their behalf… those whom Thou hast given Me.” Jesus’ concern was for His own (the Apostles, firstly, and all disciples, generally) at this occasion. He now intercedes on their behalf as a loving High Priest asking for four things. 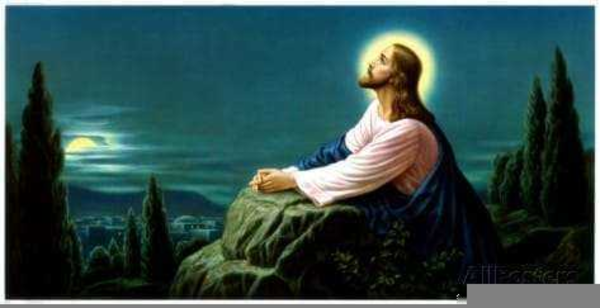 He is confident that His prayer will be answered since the disciples belong to the Father as well as to the Son. 1. “Holy Father, keep them in Thy Name … I do not ask Thee to take them out of the world, but to keep them from the Evil One. 2. “Sanctify them in the truth; Thy word is truth.” To “sanctify” means ’to make holy, purify, to set apart for divine service’. 3. “I … ask … that they may all be one; …that they may be perfected in unity.” Jesus prays that His followers will be “one” – united – just as He and the Father “are one”. When believers in Christ (or professed believers) strive to be “perfected in unity”, it will be far more likely that the unbelieving world will “believe” and “know” that the Father sent the Son to this world to save it and that Christianity is the one, true religion. 4. “Father, I desire that they also, whom Thou hast given Me, be with Me where I am, in order that they may behold My glory, which Thou hast given Me.” Those who belong to Christ will enter into Heavenly glory to be with the Lord. Are you doing your part to ensure that this wonderful prayer is answered?